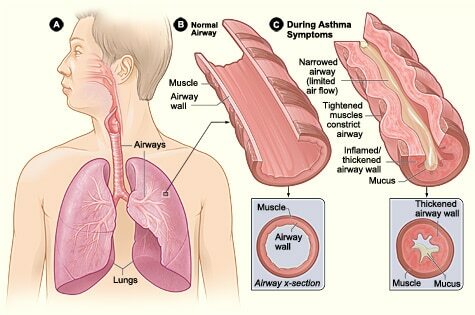 A wheelchair may be used if an individual develops intense episodes of asthma, and can no longer stand or walk without assistance. In this case, a person may use a manual wheelchair that allows another individual the ability to push the person in the chair. A transport wheelchair may be the best option for asthma, because it comes standard with companion handles or companion brake handles. 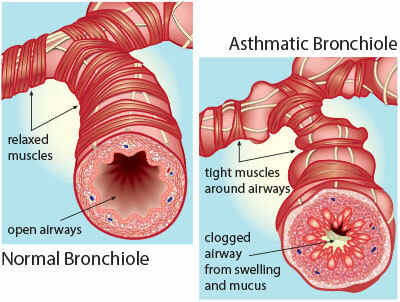 It is considered that since the user has asthma they wouldn’t be able to propel themselves while on a wheelchair.